In this week’s parasha, Korach, we see the continued disastrous effects of spreading lashon hora, negative speech. In Bamidbar/Numbers chapter twelve, it was Miriam, Moses’ sister, who spoke evil of her brother, by chapters thirteen and fourteen, it was ten out of the twelve spies who engaged in slander, not only of Moses, but of Aaron and of the Holy One, Blessed be He. In Miriam’s case, God smote her with a loathesome skin disease, and in the case of the spies, who panicked the entire nation with their bad report and slander against Moses and against God, the consequencs were that that entire generation from the age of 20 and upward was banned from entering the Promised Land, condemned to wander 40 more years in the wilderness until they died out, except Caleb and Joshua who had a different spirit about them, and brought a good report. They alone of that generation entered the Land. This week we see how the slanderous bad attitude spreads further. Korah, Dathan, Abiram and 250 Levites, leaders among the people, slander Moses, Aaron and Miriam, their kinsmen. Again, the consequences are dire. But besides the account of these bad attitudes and dire consequences, we read of good leadership and good character. We stand to learn from the mistakes of some, and the good example of others. Today’s lesson teaches useful and life-enhancing leadership principles you won’t want to miss. If you are ambitious, I recommend you read each of the Scripture passages indicated in the study, and then read the notes. You will learn lessons you should never forget. Promise! In Numbers 16:1-3 we read that Korah, Dathan and Abiram and 250 other Levites rose up agains Moses and Aaron “You have gone too far! All the congregation is holy, so where do you come off exalting yourselves above the people of Israel?” This reminds us of our first principle. PRINCIPLE #1: Rebellion breeds rebellion, which is why a leader must deal strongly with whatever kind of rebellion threatens the fabric of the particular context. We have been seeing a chain of incidents, of complaints and slander against Moses, Aaron and God. One coule argue that the seed of this evil speaking was sown by Miriam, who back in chapter 12 obviously had a problem with Moses, in which she involved her brother Aaron. So we see even there that slanderous thouhgts were spreading, first in a family, and later throughout all the people of Israel. We need to ask ourselves, “Are all rebellions good?” “Are all rebellions bad?” and “What makes for an appropriate rebellion?” Rebellions agains unjust, immoral and cruel treatment for which there is no other recourse may be justified, but others not so. If there is a peaceful and constructive way to resolve such inequities, this is always preferable. In general, one seeks to preserve the social order while improving it. But when rulers are impervious to the complaints, wellbeing and rule of the people. and especially when they use violence, punitive action, and imprisonment to quell dissent, rebellions are likely and rightly to follow, sooner or later. In Numbers, 16:4, Moses and Aaron fall down on their face, a gesture of being radically appalled. PRINCIPLE #2: God’s leaders never lose the capacity to be appalled. What is the precondition of someone being appalled? Firmly held convictions about what kind of behavior is appropriate. In a society where “anything goes,” there is no trigger to being appalled. And through the Prophet Jeremiah, God shows us that this loss of capacity to be appalled, to be in asense embarassed by inappropriate behavior, is a prelude to judgment from God. Is it your observation that many in our society seem to be losing the capacity to be appalled? Is this a good thing? 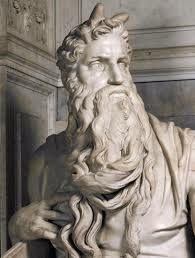 In Numbers 16:5-11 Moses calls Korah and his companions to a showdown on the issue of whether Moses and Aaron have unnecessarily vaunted themselves over Israel by claiming access to the Presence of God which by rights belongs to all the people. He tells them to show up the next day with their censers, in which incense is burnt, so that judgment may be meted out to those who have indeed gone too far . . . either Moses and Aaron, or, on the other hand Korah and his company. PRINCIPLE #3: A mature leader does not seek conflict, but neither does he avoid it. Sometimes “showdowns” must be conducted. Moses is not indecisive here. He sees the nature of the case, the issues involved, and he is prepared to face them head on. This decisiveness is a leadership characteristic that shows up in the Bible repeatedly, and it is something that all of us should emulate. Since “not to decide is to decide” and since other look to us for leadership, it is imperative to make decisions as a leader, and than even a fair decision now may be better than a great decision in the indeterminate future. PRINCIPLE #4: A mature leader knows that rebellion is seldom if ever really personal, but that those in rebellion are in the end fighting against authority in general, which inevitably means, against God. In other words, a leader facing rebellion should remind himself that it is the rebels who have the authority problem, that is, unless the inequities they name are valid, and all appropriate channels of protest and change, blocked. Can you identify a rule of thumb as to when a showdown must be conducted? Have you ever known someone with an authority problem? How did that work out for them in their life? PRINCIPLE #5: People with authority problems always present a distorted picture of the leaders they despise because the picture they present is a projection from their disordered minds rather than a portrait of reality as it is. All of us would do well to step back and evaluate the way language is used in our day to polarize and manipulate us. I find this to be especially true in the political sphere where inflammatory and exaggerated language is almost the invariable norm. But God did not put you and I on earth for us to be manipulated, but rather for us to stand for what is right and true. Therefore, learn a lesson from the behavior of Datan, Abiram, Korah, all these rebels: people with an axe to grind have disordered perceptions of those they despise, and will use distorted and inflammatory language to rally others to their cause. In Numbers 16:16-22 Moses repeats the summons to the confrontation, and Korah and the rebels show up in force, this time bringing the entire congregation with them. Here again, the dissent is spreading, and not by accident. It is the intent of Korah and company to polarize the people against Moses and Aaron. At this point the glory of the LORD manifests, and God tells Moses and Aaron that He is prepared to wipe out the people entirely for their effrontery. But our next principle indicates how Moses and Aaron respond to this proposition. PRINCIPLE #6: When taking disciplinary action, a great leader will avoid overkill and will not seek it. Moses and Aaron plead with God in a manner similar to Abraham’s intecessions for Sodom and Gomorrah: they challenge God to not wipe out the entire people for the sins of a comparative few. It takes a great and mature leader to remember to deliver a measured blow, if any, when he or she has been insulted and misrepresented; when he or she has every right to wreak revenge. Moses and Aaron are amazing here, an exemplary. They want to make sure that the innocent many do not suffer for the sins of the guilty comparative few. Have you ever worked for a boss or been a boss who exercised appropriate restraint in disciplinary actions? Who didn’t? How did it turn out? What effect did this have on group morale and performance? On leadership authority? In Numbers 16:23-35, responding to the intercession of Moses and Aaron, God warns the people to step back from the dwellings of Korah, Dathan and Abiram. Moses also warns the people to step back. Meanwhile, the rebels stand forward, rather than back, still in the grip of their own chutzpah. What comes next could not be more dramatic. PRINCIPLE #7: It is always wise to distance one’s self from people with an authority problem, lest one be caught up in the consequences of their rebellion. Just as the people of Israel stepped back from Dathan, Abiram and Korah when the latter were at the height of their rebellion and “cruising for a bruising,” so all of us, if we are wise, will avoid the company of troublemakers and malcontents. Even if you are innocent, being in the wrong place at the wrong time can result in your being singed or burned by the consequences others have earned. The Bible is consistent in its admonition to aovid bad company. While some would say they keep company with such people for the sake of the influence they might have on them, it is always crucial to be honest with oneself as to the extent of one’s influence, and indeed, who is influencing whom? And whatever the case may be, even when culivating a relationship with a malcontent, it is wise and indeed imperative to not be implicated at all in the actions malcontents will take from time to time. In Numbers 16:36-40 God gives directions that the censers the rebels had used in their illegitimate approach to God’s presence should be reclaimed and hammered into a covering for the altar. Thus they would always be there in front of the people, and especally in front of the Levites, as a reminder of the dire consequences of wrongly assuming privileges that are not one’s own, an of rebelling against God’s order of things. This brings us to our eighth principle. PRINCIPLE #8: Great leaders know the value of a symbolic act. This incident and principle reminds me of Pope John Paul II and his visit to the Western Wall, and then the visit this year of Pope Francis to the Wall as well. Pope John Paul was the master of the dramatic gesture, and Pope Francis is also a genius in this area. Pope John Paul II wore a white cassock, years later Pope Francis did the same. And Pope John Paul left a note in the wall, asking the God of Israel to forgive the Church for what it had done to the Jews. Never will such an indelible act be erased. Great leaders know the value of a symbolic action. Just look at the picture of John Paul there at the wall. Can anything be more dramatic than a Polish Pope asking forgiveness of the God of Israel? No, nothing. PRINCIPLE #9 – A leader is above all motivated by the well-being of his people. Hasidim speak of bitul nefesh, of the kind of self-negation where the leader becomes entirely God’s servant for the well-being of His people. This is a noble and stunning aspiration, and certainly something we see modelled in Scripture, and urged upon us by Paul who tells us to follow the example of Messiah who laid aside the prerogatives of Deity to come among us as a servant. Paul himself mirrors that kind of self-abnegation, as do others. Here we see Aaron, a very old man, taking the censer as Moses commanded and running into the midst of the people where he will stand as the dividing line between the dead and the living. This is because he is the High Priest of Israel to whom is given the privilege of ultimate access and intercessory power, which Korah and his rebellion sought to deny. And so we come to our tenth principle. PRINCIPLE #10 – There will be times when a God-ordained leader will stand between the dead and the living, when his words and influence will be life-giving, and when refusal of that influence will mean spiritual decay and death. It is a terrifying responsibility to be a leader; but also a terrifying responsibility to be a follower. A friend of mine, born in Englad, who was bombed out of her home four times during the Blitz since she lived in Liverpool, one of the Nazis’ prime targets, says that Churchill in his words to the British people, and C. S. Lewis on the radio in his words to their spirits, kept England alive during the war. Like Aaron the High Priest, they stood between the dead and the living. May my words and yours frequently be life-giving to others, and may we learn from today’s leson what great leadership is, while never repeating the errors of Israel in the wilderness.